31 is inspired by two frail and transient occupancies. The first is the woven basket that provided shelter for Moses as a baby, protecting him from the Pharaoh’s decree. The second is the Gulf Coast Choctaw Indians who dwelled along the beaches in palm frond huts. These palm huts were composed of local raw materials to meet basic needs of shelter, protection, and storage. 31 harnesses both the natural materials and structural systems these inspirations employed: the palm fronds for skin, the weaving to create a surface, and the light, linear frame to create space and place. The name 31 comes from the 31 PVC pipes used to form the sukkah. 31 is a letter number cipher for EL (one of the Hebrew names for God) composed of the Hebrew letters Lamed (30) and Aleph (1). 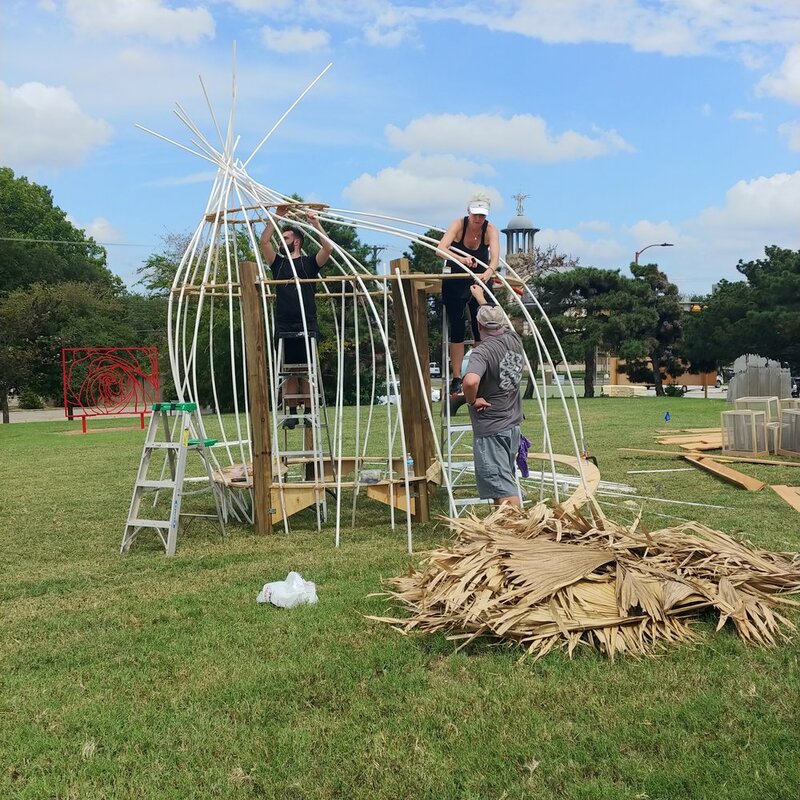 The PVC vertical pipes coupled with the CNC milled plywood ribs embrace the modern industrial technology precision of measure and material while the twined thatching of palms references historical methods. 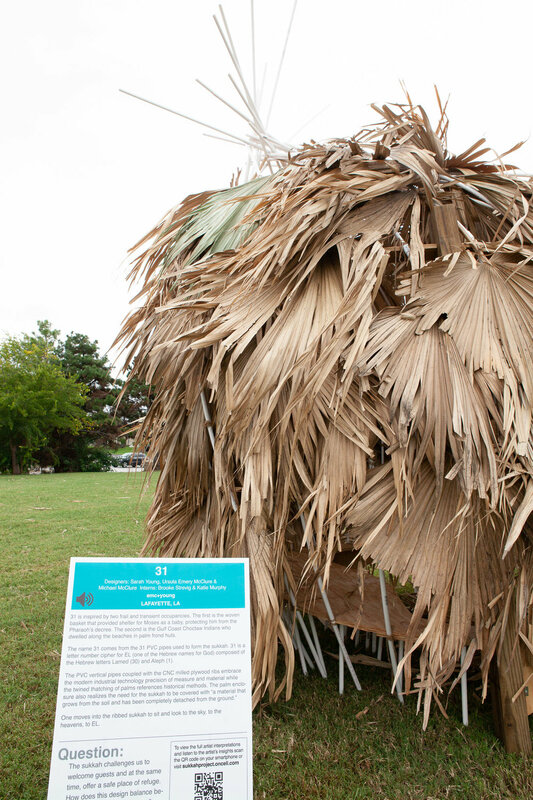 The palm enclosure also realizes the need for the sukkah to be covered with “a material that grows from the soil and has been completely detached from the ground.” As one approaches 31, it appears impenetrable; the feathering of the frond skin obscuring the entrance. As one gets closer, a shadow reveals the entrance and one steps in between layers of structure. Rounding the entrance, one moves into the ribbed sukkah to sit and look to the sky, to the heavens, to EL.